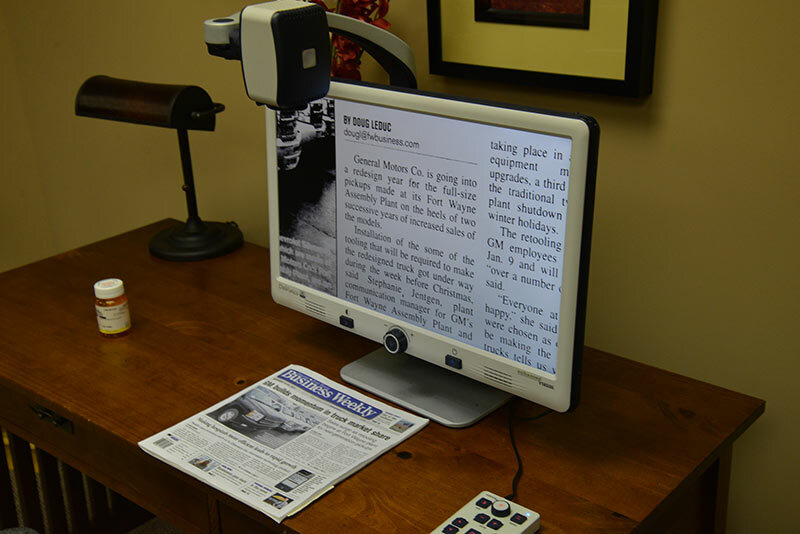 The DaVinci is a desktop video magnifier, featuring HD, text-to-speech (OCR) and a 3-in-1 camera. The high definition monitor allows for excellent color and contrast giving high quality image, clear picture and vibrant colors. The OCR technology of the DaVinci allows for the system to read what is on the screen to the patient. This can help those who tire easily when reading on a video magnifier or those who are working and want the system to read to them. The camera of the DaVinci rotates 340° around to see items up close, in the distance and at intermediate distances. The camera autofocuses for reading and can turn for viewing ones face. This system has a 24 inch high definition monitor which can magnify up to 77X. The system has many different settings to optimize the contrast and brightness for easy reading. The DaVinci's monitor can also be used as a display for your computer and can connect to an iPad for easier viewing. 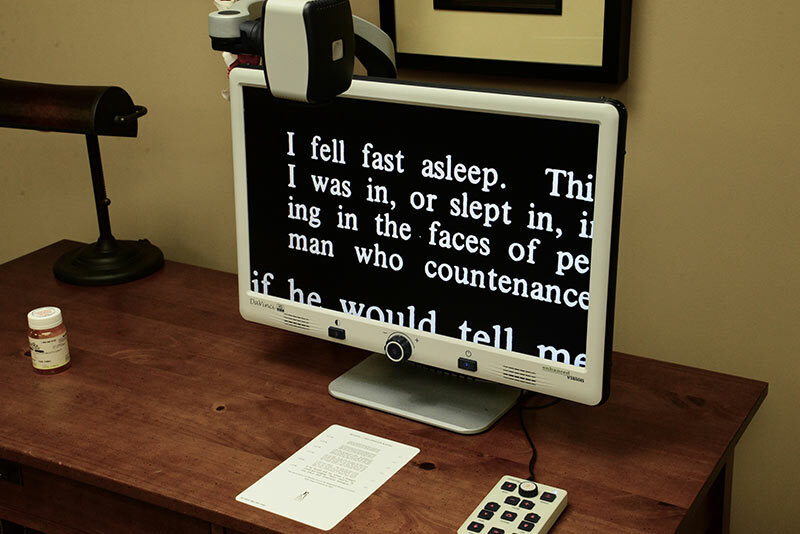 This new system is a big leap forward in merging the reader OCR technology with the video magnifier.